Get your free blueprints right here! I had a feeling I would want to build something from the newest Star Wars movie. It turns out I was right! You know I love me some space guns, and the blaster that Han Solo gives to Rey was an exceptional piece for my collection. Since we’ve been doing a lot of 3D printing lately, I wanted to use this project as a chance to dust of my 3D modeling skills. Designing the pieces so that they would both be good for 3D printing and for molding and casting was a really fun challenge! 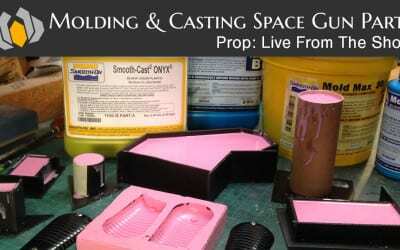 Check out the selection of videos below to check out a recap of the full build as well as bits and pieces of the process including sanding 3D prints, molding and casting the parts, and painting the metallic finish. One of the most difficult things to accomplish on this project was the metallic finish. 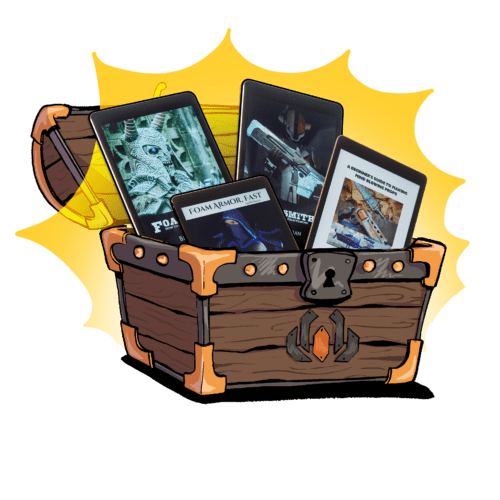 My videos do a pretty good job of explaining the process, but if you want the real nuts and bolts, check out this article I wrote for the folks at Tested. 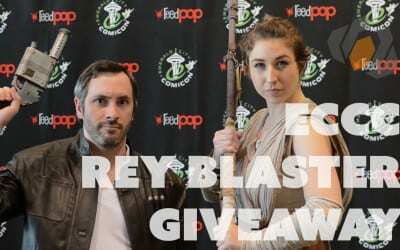 We made some props of Rey’s Blaster from Star Wars, and thought it’d be super fun to give them away to Rey cosplayers at Emerald City Comic Con! 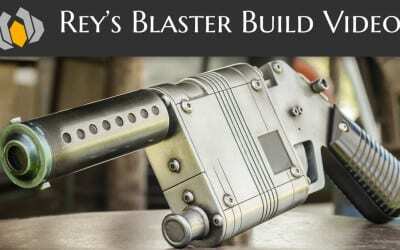 Prop: Shop – Rey’s Blaster Build Video plus Free Blueprints! 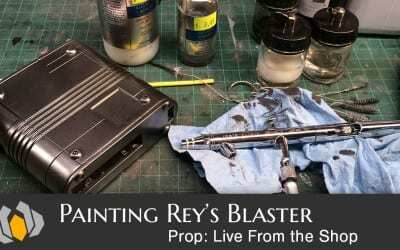 Follow along as Bill shows you how to 3D print, mold, cast and finish a super legit version of Rey’s blaster prop from Star Wars: The Force Awakens! Grab the blueprints and give this project a try! Bill shows you how to get a nice, shiny finish on this iconic new Star Wars prop gun. 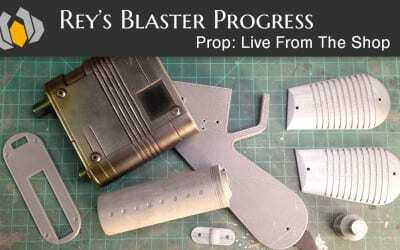 Bill molds and casts several pieces of Rey’s Blaster using silicone and urethane resin. Bill works on Rey’s Blaster prop from the new Star Wars movie.